Many of you know that my husband died on April 23. Here’s some information about him you may not know. Just more to appreciate about him. Design engineer Steve Beattie Patrick, whose visionary work with Walt Disney Imagineering, Jet Propulsion Laboratory and his own company, Interactive Design Engineering, ranged from projects such as the Mars Rover to theme park rides to concert stage effects for performers Madonna, Michael Jackson and Paul McCartney, has died at the age of 59 after a year-long battle with kidney cancer. Mr. Patrick was born on December 2, 1950 near Kyushu, Japan to Haruko Ota–from Kobe, Japan–and Roy Beattie Patrick–originally from Laramie, Wyoming and living in Japan while serving in the U.S. Army. The Patrick family moved to the U.S. in 1957, first to Boulder City, Nevada (where Roy Patrick’s father was Sheriff), eventually settling in the San Fernando Valley. Mr. Patrick graduated from California State University at Northridge in 1975 with a Bachelors of Fine Arts. Under the mentorship of Walt Disney Company Legend Bob Gurr, he subsequently designed ride vehicles for Disney’s EPCOT Center, then worked at Universal Studios where he designed the simulator motion base for both “Back to the Future” (now “The Simpson’s” ride) and “Earthquake L.A.” As a senior engineer with Disney Imagineering he was instrumental in the development of theme park equipment, special effects and animatronics robots. He was an active member of the Themed Entertainment Association. In 1992, Mr. Patrick formed Interactive Design Engineering (IDE), and provided engineering for consumer companies and online platforms such as Xulu, as well as designs for the entertainment industry–concert tours and theatrical equipment–and continued his work with theme parks, including Universal Studios Japan. He was the head of the engineering team for Designs International of Dallas, Texas; the company won Best New Ride at the 1993 International Association of Amusement Parks and Attractions (IAAPA) Show for its “Mini Family Himalaya” ride. This success was followed at the 1995 IAAPA Show where their “Thunder Air” won Best New Ride. He began his work with Pasadena’s Jet Propulsion Laboratory and Caltech as an independent contractor, and was brought on as a full-time member of JPL’s mechanical section in 2001. He worked on sampling systems for the Mars Science Laboratory, and testing for JPL’s Aquarius project, which collects sea surface salinity data over the global oceans. He developed and designed mechanisms, new technology and flight instruments for various projects, and played an important role in the Space Technology 7’s Disturbance Reduction System (DRS) to be tested in the upcoming LISA Pathfinder mission, flown by the European Space Agency. Mr. Patrick received JPL’s prestigious Team Bonus Award from the Solar System Exploration Directorate as well as several Certificates of Appreciation for his contributions as a Cognizant Engineer. In 2007, he opened the California office of Dynamic Structures, LTD, a Vancouver-based company on the forefront of the international amusement ride industry, and Canada’s leading international designer and builder of telescopes and enclosures for astronomy. “Through Dynamic Structures, Steve worked on what will be the world’s largest telescope, the Thirty Meter Telescope, a U.S.-Canadian project, and played a significant engineering role as the company developed solutions for new and exciting theme parks,” says David Halliday, Dynamic Stuctures president. 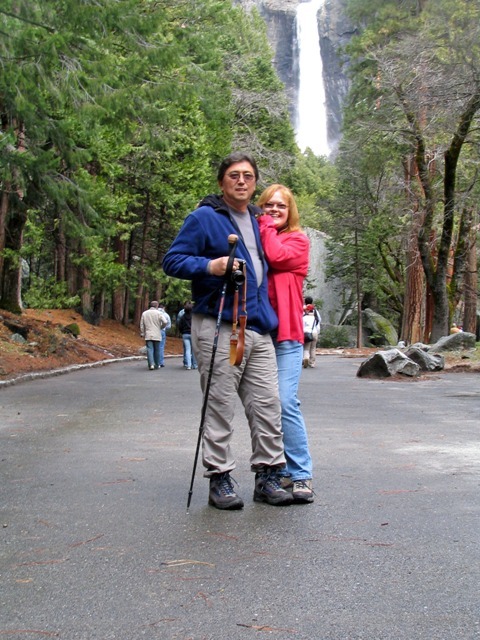 An avid fly fisherman, photographer and sculptor, he loved to spend time in the Eastern Sierras and national parks. Mr. Patrick was a lifelong car enthusiast and a valued member of the Porsche 912 Registry and Porsche Club of America. He was a leader of Boy Scouts of America Troupe #288 in La Crescenta, and a member of Sierra Pacific Flyfishers. He loved food, wine, music, and also enjoyed studying art, archeology and anthropology; he recently traced his paternal genealogy to 11th century England. Steven Patrick died on April 23 at his home in Altadena, California surrounded by friends and family members. He is survived by his wife Debbi Swanson Patrick, sons David and Christopher from his previous marriage to Mary Brown, mother Haruko Ouellette, sisters Angelique Ilo and Trish Jacobs, as well as beloved aunts and uncles, nieces, nephews and cousins. Memorial services are scheduled for July 11. In lieu of flowers, donations can be made in Steven Patrick’s name to The Awareness Center in Pasadena via check or to Southern California Hospice Foundation online. Art on Palm April 28–UPDATE! Catherine M. S. Cowles on Art on Palm April 28–UPDATE!